When it comes to finances, TV infomercials run rampant throughout the UK. These infomercials or commercials often put pressure on viewers to buy a product or to make an investment without even batting an eyelash first. While some of these commercials show the person speaking openly, others use voices from well-known actors musicians and business owners in order to promote a financial system or product. Regardless of the celebrity used, these commercials can become quite taxing to stomach after they are aired repeatedly. Let’s take a look at how the roles of these financial celebrities influence customers and the decisions that they make. 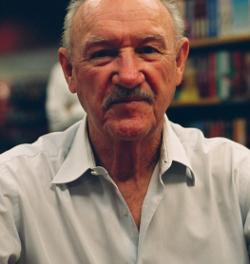 Gene Hackman is one of the more recognisable actors in all of Hollywood. He has several award-winning movies on his resume’ and he certainly does not have to do financial commercials to make a living. However, if you are a resident of the UK, and you have ever been annoyed by the Oppenheimer Funds commercial, then you have Gene Hackman to thank. Other celebrities such as Flo, with Progressive Insurance, are so pervasive that many people simply choose to turn the TV off or change the channel each time the commercial comes on. There are other celebrities who provide the voices for financial commercials as well, such as Billy Crudup with MasterCard, and Hector Elizondo for TD Waterhouse. One of the main reasons why commercials feature celebrities or their voices, is because they add credibility to the scheme which is being promoted. Some people become lured in by a familiar face. Many more even choose a financial scheme simply because the actor is one of their favourites. Lesser-known, but just as popular, are actors such as the guys who play in the band for the Free Credit Score commercials. These commercials feature a catchy jingle, and once this becomes assimilated into the consumer’s mind, it becomes hard to to get rid of it. Testimonials are statements made by both customers and celebrities which paint a certain financial scheme or product in a wonderful light. In reality, many of these offerings are not as full-proof as the companies would like you to think. It is important to be wary of commercials which constantly push products or services on you. This is especially true for financial commercials which claim that you must call in or spend money during a given time frame so that you do not miss out on a deal. While many people might feel it is common knowledge not to trust everything that a celebrity tells you on a commercial, there are some people who simply do not exercise good judgement. Remember, a little editing work is all it takes for a financial commercial to come off as genuine. Some celebrities have even sued companies which have used their voices or likeness without their consent. Always conduct your own research before you make an investment. If a celebrity-filled financial commercial seems just too good to be true, then there is a good chance that this is the case.